Hubert the Teddy Bear is a party game where you confront crafty bunnies. Outsmart them in eight winter activities like a snow fight, sledge ride, Christmas tree decoration, fishing, catching a bunny, and more. Create a teddy bear and customize it to fit your own style. Choose its name and gender and dress it up by combining elements from plenty of clothes and accessories. Play solo or engage your family and friends to compete in one of the multi-player modes. Even 16 players can take part in one competition! Thanks to the balanced levels of difficulty (kid, youngster, adult) everyone can enjoy the game. This collection of casual winter sports provides a new game-play experience to the whole family to the accompaniment of a great Christmas soundtrack. 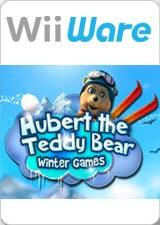 The graph below charts the compatibility with Hubert the Teddy Bear: Winter Games since Dolphin's 2.0 release, listing revisions only where a compatibility change occurred. This page was last edited on 18 January 2018, at 00:56.